Spotify Technology SA acquired podcasting companies Gimlet Media Inc.and Anchor FM Inc., a declaration that their specialty is the next big area of growth for the world’s largest paid music service. 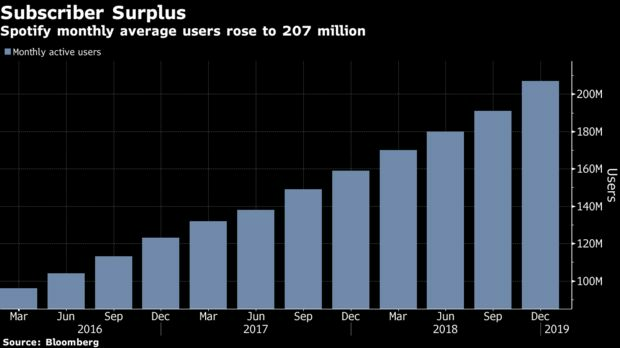 “Spotify is already one of the world’s most-used apps, but we see an opportunity apart from where we sit today,” Chief Executive Officer Daniel Ek wrote in a letter. “This opportunity starts with the next phase of growth in audio — podcasting.